You wouldn’t want to get stuck with a Virtual PA who won’t mesh well with you, your company, and the tasks you will assign time. Virtual Assistants aren’t cookie-cuttered, therefore each one is unique in their work ethics, skills, and personality – it’s all a matter of finding who’s the best fit. Virtual personal assistants are contractual and technically not an employee, but you’d want to hire one that you can build a great professional relationship with to ensure they stay for much longer than a couple of weeks. Ideally, the longer a person works for you, the more familiar they become with your preferences and the more satisfied you will be in their output. 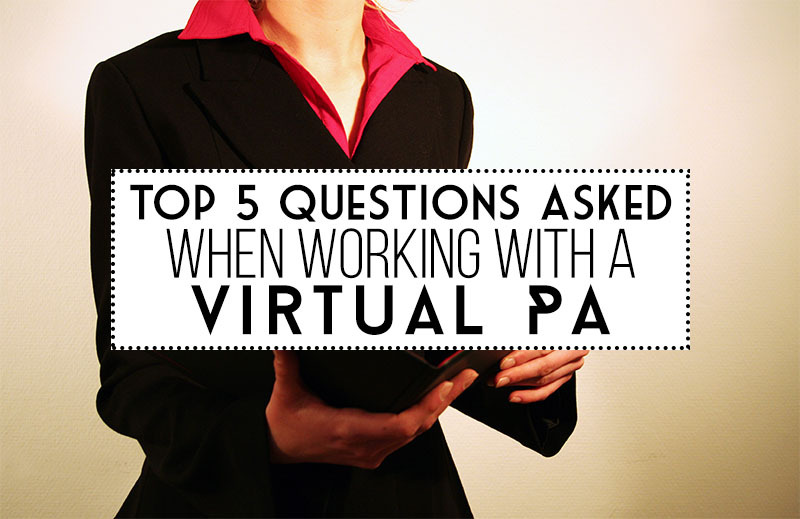 To avoid unnecessary migraines when dealing with an outsource worker, not to mention wasting your money, ask these additional five questions before hiring your personal PA.
Before anything, you need a virtual assistant whose skills match your needs. Hiring someone whose skill set is completely different from what you need is a complete waste of money and your and their time. Tell them right off the bat what you’ll be requiring of them and ask if they have the know-how to pull it off. At the same time you need to be aware of their weaknesses so you can adjust your expectations accordingly. 2. What do you know about our business? Give your virtual assistant a brief background on your company so they have a clearer idea of the context of their work. Ask them if they have any knowledge of the industry in general. It is vital that they have at least a vague idea of the jargon used in your industry, so your Virtual PA won’t feel lost and overwhelmed. A lot of time is saved if they don’t have to do extensive research on the business, plus you reduce the risk of errors made in certain tasks. 3. What would you do if you have a deadline and your computer crashed? Crisis happens, it is often inevitable. Programs may crash, documents deleted, or altered beyond repair. However inconvenient it is, these things are liable to happen, which is why you need to be prepared. Ask your assistant what sort of precautions he or she takes in order to prevent setbacks that involve technical difficulties, and what they plan to do if it does occur. 4. What are your main communication methods? You want to be sure that your main communication methods match up. This eliminates unnecessary steps involving downloading messengers or programs and having to get used to it. Alternatively, you won’t have to waste your time teaching the virtual assistant how to use certain programs. It’s really a very small issue, but can save you a lot of time in the long run. 5. Have you ever had a client who had a hard time communicating his or her needs? Have him or her share a story regarding previous clients. This will give you a better insight on their work ethics and how they handle pressure. Virtual Assistants who can easily pick up on what their client is saying are generally easier to work with than those who need a play-by-play. Got even more questions? Ask away in the comment section below!